A hurricane 144 runs by Praveen Sandamal and a fine match bag of 10 for 63 (5/15 and 5/48) by Sasith Manupriya helped St. John’s College Panadura to beat Asoka Vidyalaya Colombo by innings and 31 runs in their inter school first eleven cricket match worked off at Panadura. Praveen had sixteen fours to the ropes and ten over and occupied the crease for 138 minutes and faced 91 balls. Batting first visitors were all out for a paltry 85 runs and in reply homesters scored 307 runs with Thamindu Niwarthana scoring 56 runs and in their second essay Asoka Vidyalaya were all out for 191 runs. 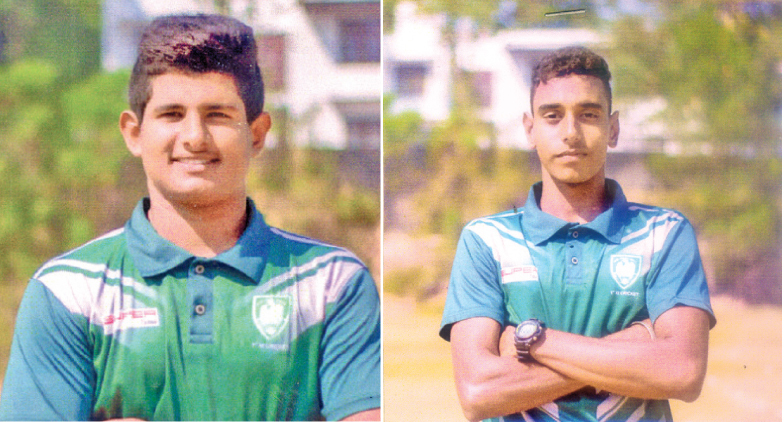 Asoka Vidyalaya – 85 in 29 overs – (Panchala Sandeepana 28, Sasith Manupriya 5/15, Praveen Sandamal 2/14, Thamindu Niwarthana 2/19 and 191 – Tilshan Kavindu 35, Sanush Madeesah 30, Sanchala Sandeepana 26, Sasith Manupriya 5/48, Thamindu Viwarthana 2/51. St. Johns College – 307 in 53.1 overs – (Praveen Sandamal 144, Thamindu Niwarthana 56, Dilshan Prasanna 31, Abishek Sanju 22, n/o, Anula Pasandul 6/53, Tilshan Kavindu 3/6).